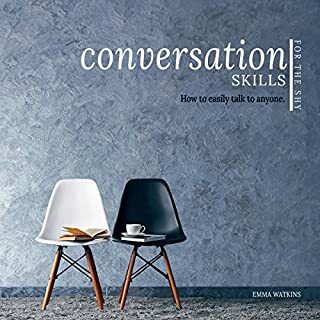 As a previously shy person, Emma Watkins is the perfect person to create the definitive guide to conversation skills and social interactions for people who find communicating difficult. 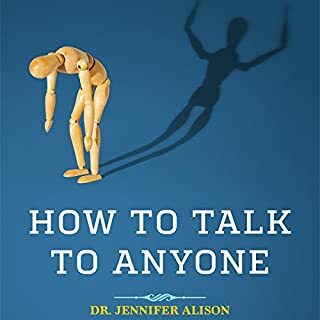 Long recognized as an expert in this field, Watkins has removed all the nonsense and produced a simple and easy-to-follow guide to conversation and social interactions for the shy person. Are you held back by shyness? Do many things seem out of reach due to social anxiety? Many people have settled into thinking this is just how life is... "This is just the way I am." However, nothing could be further from the truth. 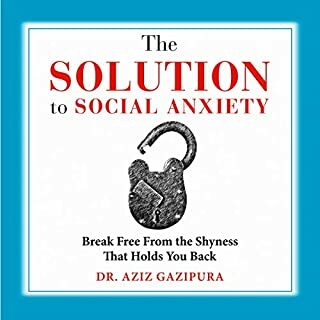 In this inspiring, breakthrough book, Dr. Aziz guides you along the path out of social anxiety and into greater confidence in yourself. You will discover what is keeping you stuck in shyness and learn exactly what to do in order to break free. After suffering from social anxiety himself for many years, Dr. Aziz became determined to find a way to social freedom. His deep understanding if what creates the social fears, shyness, and limitations, displays just how much he gets what it feels like to be shy. Simple. Straight. And to the point! Very helpful book, thank you. Are you too nice? If you find it hard to be assertive, directly ask for what you want, or say "no" to others, then you just might be suffering from too much niceness. In this controversial book, world-renowned confidence expert, Dr. Aziz Gazipura, takes an incisive look at the concept of nice. Through his typical style, Dr. Aziz uses engaging stories, humor, and disarming vulnerability to cut through the nice conditioning and liberate the most bold, expressive, authentic version of you. As humans, we all need to belong. While modern social life can make even the best of us feel gawky, for roughly one in five of us, navigating its challenges is consistently overwhelming - an ongoing maze without an exit. Often unable to grasp social cues or master the skills and grace necessary for smooth interaction, we feel out of sync with those around us. Though individuals may recognize their awkward disposition, they rarely understand why they are like this. Jia Jiang came to the United States with the dream of being the next Bill Gates. Despite early success in the corporate world, his first attempt to pursue his entrepreneurial dream ended in rejection. Jia was crushed and spiraled into a period of deep self-doubt. But he realized that his fear of rejection was a bigger obstacle than any single rejection would ever be, and he needed to find a way to cope with being told no without letting it destroy him. Confidence is the doorway to success in all areas of life. Whether you want to excel in your career, triple your income, create an amazing relationship, or just feel happy and satisfied with who you are, self-confidence is essential. In this inspiring and liberating book, Dr. Aziz slices through each obstacle on the path towards ever-increasing confidence. Finally! This book really is life changing! This book will reveal how can communicate effectively with different types of people, in all types of situations, including meeting strangers and getting them to talk, all without suppressing your natural introvert tendencies. Each day we face a barrage of images and messages from society and the media telling us who, what, and how we should be. We are led to believe that if we could only look perfect and lead perfect lives, we'd no longer feel inadequate. So most of us perform, please, and perfect, all the while thinking, What if I can't keep all of these balls in the air? Why isn't everyone else working harder and living up to my expectations? What will people think if I fail or give up? When can I stop proving myself? Buy 'The Power of Vulnerability' Instead! How to Be Yourself is the best audiobook you'll ever listen to about how to conquer social anxiety. Up to 40% of people consider themselves shy. You might say you're introverted or awkward, or that you're fine around friends but just can't speak up in a meeting or at a party. Maybe you're usually confident but have recently moved or started a new job, only to feel isolated and unsure. If you get nervous in social situations - meeting your partner's friends, public speaking, standing awkwardly in the elevator with your boss - you've probably been told, "Just be yourself!" But that's easier said than done - especially if you're prone to social anxiety. Weaving together cutting-edge science, concrete tips, and the compelling stories of real people who have risen above their social anxiety, Dr. Ellen Hendriksen proposes a groundbreaking idea: you already have everything you need to succeed in any unfamiliar social situation. As someone who lives with social anxiety, Dr. Hendriksen has devoted her career to helping her clients overcome the same obstacles she has. 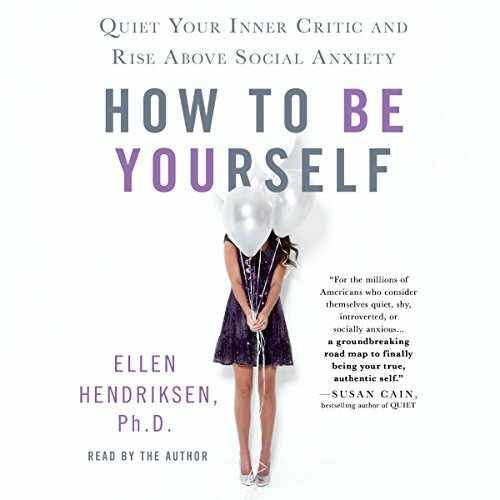 With familiarity, humor, and authority, Dr. Hendriksen takes the listener through the roots of social anxiety and why it endures, how we can rewire our brains through our behavior, and - at long last - exactly how to quiet your Inner Critic, the pesky voice that whispers, "Everyone will judge you." 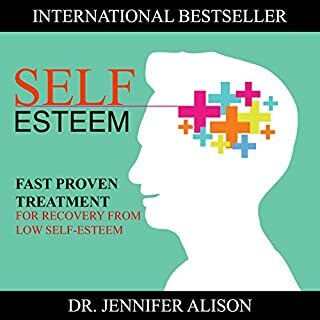 Using her techniques to develop confidence, think through the buzz of anxiety, and feel comfortable in any situation, you can finally be your true, authentic self. First off, I don't write reviews. I don't have the time. But the audio version of this book has made me such a braver, better person, I felt compelled to add a review so it might help someone else like me. For once, I'm not afraid and I feel like I'm living and not just going through the motions. I chose this book because of the title. I do feel like a fake most of the time. Always saying or acting the way I think others would expect me too. I remember my Mom being hyper aware of how others viewed her and her family and I picked up on that and didn't even realize. I didn't know I had social anxiety, but every example in this book sounded like me. I don't sleep well because I'll wake up in the middle of the night replaying things I did during the day. Things I could have done or said better than I did. And then the stress kicks in and the next thing I know I've laid awake for two hours pondering something that should have not been given a second thought. This book made me aware of what I was doing and I am falling back asleep quicker than ever before. It also gave me several different tools to help overcome my negative thoughts. And for once, it's not unrealistic tools that don't work. For once, they are working. Now when I start to replay a scenario, I think about Ellen's "movie theatre" scenario. And if that doesn't work. I put my inner critic on trial. A bonus was her chapter on "how to make friends." I've always avoided relationships for fear that someone would find out I'm not who I really am. But now I feel compelled to connect with someone on a friendship level. I highly recommend purchasing the audio version of this book. Ellen does a phenomenal job narrating and I honestly feel like I was sitting in her office at times. But instead of paying $$$ for a therapy session, I got so much more by purchasing this book. If you ever feel awkward in any type of social situation, you must read/listen to the book. It's a game/life changer. Best book on social anxiety I have come across! loved it!! I came across this book at a very difficult time in my life. I have suffered from anxiety for 18yrs. That combined with hard situations in life I was at a very lost point. The stories in this book felt familiar and the lessons and advise felt real and tangible. I have started applying things I have learned in this book to the way I do and handle things and for the first time in a long time I truly feel better. I am not cured but after this book I feel more determined to learn more, live more and figure out how to work with who I am so I can finally live my best life. If you have Social Anxiety, read this book!!! Or listen to this book, just get it in asap so you can start your healing process.. I'm on my way and this book was a clear starting point for me! I’ve read several books on social anxiety, but of all of them, this one feels like it was written just for me. Ellen Hendriksen gets it. If you have social anxiety I highly highly recommend reading this book. Before buying the book I read some comments about the author wanting to change introverts but that’s just not the case at all. I even looked for any indication that that’s what she was doing but couldn’t find it. I’m not quite sure where those comments are coming from so please don’t let that keep you from giving this book a shot. Mrs. Hendriksen, thank you for writing this book. It’s everything I needed to hear and changed the way I looked at many things. Every chapter was perfect but the final chapter on popularity really struck me. I’m 37 and am not as concerned with popularity as I was when I was 16 years old but I teared up during that chapter. I’m planning to share it with my two children as, even in elementary school, popularity is already a concern. I have always struggled with having a conversation, even with the closest people in my life. Funny enough, the only people I am quite confident talking to are my brother and sister who I have spent a lot of time with. But, yes, I fumble through conversations, trying to speak the right words and in the process sound gibberish.. which makes me more anxious and sweaty and freaked out. This book has literally pushed me out of my comfort zone and into what I dread the most, conversations. Midway through this book, I walked out of my room and struck a conversation with a student sitting in the lounge. I cared not how awkward I looked. It was the most eye opening, genuine conversation I have ever had in a long, long while. I can't wait to meet new people and challenge myself in the very situations that limited me in the past(rather it's I who limited myself)... As a matter of fact, I came out of it feeling AWESOME! 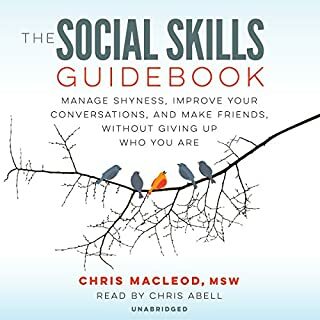 I highly recommend this audiobook to anyone who has faced social anxiety in their life for whatever reasons. I would have loved to highlight my reasons for my anxiety now but I am learning as the day goes by. I will update this comment accordingly when I have established those reasons sufficiently. The useful information can be summed up in 2 pages but of course you need 200 pages to publish a book. I was very impressed by this book. Honestly, it was really the first audiobook I have really listened to all the way through (normally I avoid it because the narrator's bug me:D) and I enjoyed it so much I listened two times right in a row to make sure I didn't miss anything. The author does a great job explaining things, helping you feel better about what you're going through and helps you realize it's not abnormal. Gives you ways to work through your anxiety and gives you hope that things are fixable. She does a great job reading it too- fun, calm, not-annoying narration. I have no doubt I'll be listening again at some point. Thank you, Dr. Hendriksen! I loved every minute of this book, with simple examples of overcoming the mountains of inner criticism, but also appreciating the positives that come from being introverted and socially awkward. it addressed everything I've been dealing with for years. 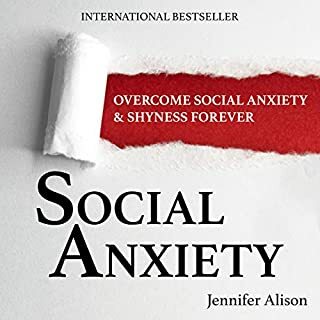 It's a very helpful book if you've been dealing with social anxiety. Humorous, well written and scientifically based self help book. A great read for anyone who suffers from anxiety with lots of tools to help you get back on track. Loved it. All the way from the beginning to end of this book, I found amazing advices, relatable examples, interesting stories and very clear and comprehensive theoretical frameworks. The boom is read with a very cheerful voice and the message is delivered very positively. Bringing all these elements together helped me to fully understand the message and to easily apply the advices. This book is great for everyone who wants to go out there and just be yourself with ease. Huge well done to the author! what i needed to change my perespective on social anxiety and take away the stigma. After suffering with what I didn’t understand to be social anxiety for over 10 years. This book has helped to guide me towards a place I never thought I would find again. It has hit on many nerves and opened up a whole new world that I had shut myself away from. I am sharing my learnings from this with others it’s a gift that keeps on giving. Can’t thank the author enough! I feel like I have a second chance to live my life and be happy. Having utilised many resources on the topic of social anxiety, this book is the first that really felt like it was talking to me. Dr Hendriksen’s relaxed and humorous approach made it very easy to listen to the audiobook and it is backed throughout by scientific research which makes the insights and tools extremely credible. It has helped me understand myself better and there are many “ah ha” moments throughout. It doesn’t claim to cure social anxiety and convert you to a confident extrovert, but to help you recognise and manage Social Anxiety and to stop it controlling aspects of your life. If, like me, you’ve struggled to find a resource that really helps you understand why you struggle to be yourself in group or social situations and how to deal with it, then I recommend this book. Such a brilliant book. A refreshing approach to managing social anxiety! Just what I needed. I couldn't have hoped to find a better book about my own psychology. Great narrator, great content, highly recommended. How to be yourself is a great book that has helped me start to overcome my social anxiety. The first part of the book is undeniably relatable and it felt so good to know that what I had been feeling for so many years was understood by someone. I recommend this book if you finally want to change and get over your social anxiety. I liked it, though I found some of her leeeeeengthy descriptions of insignificant elements during story telling annoying. Too much "literature" for me personally. I kept thinking" get to point of research, please!" The author has a very sweet, kind voice, in the audible version she almost sounds as if she's explaining things to children. Apart from these small details, overall worth listening to. I can’t thank this wonderful woman enough for perfectly encapsulating day to day social anxiety and finally providing real life non-fluff tips on how to deal with it so you are thriving not just surviving. Couldn’t recommend it more highly. I've just finished listening to "How to Be Yourself" and have come away feeling like I really can conquer the social anxieties in my life. No longer must I dream of some magical potion to live a true and meaningful life, free of self-imposed restrictions. Ellen has shown me that I can have this life, while being my very real self - no changing fundamental aspects of me, but rather shedding the protective and defensive (yet unhealthy) habits I have unknowingly relied on, in order to reveal to the world my already wonderful self. Thank you Ellen Hendriksen for showing me the way, and the science behind it. A recommended read for all people.